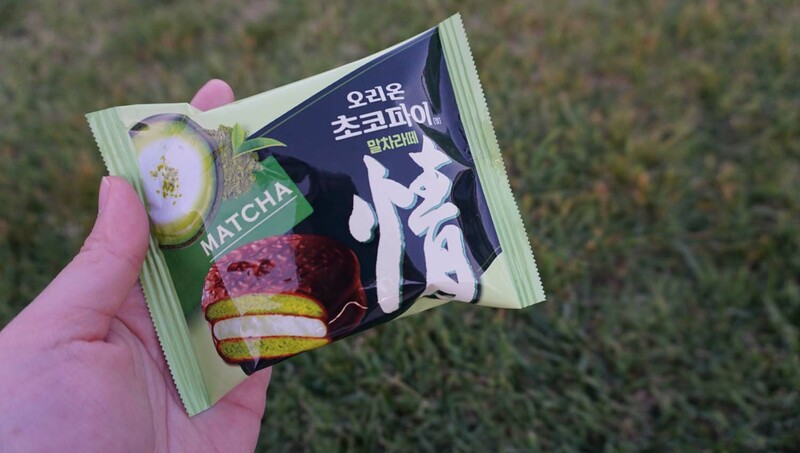 Review | Orion Matcha Latte Choco Pie (Found at H-Mart) - EAT WITH HOP! When I went to H-Mart to browse for some goodies, I was super excited to see a new snack in store! 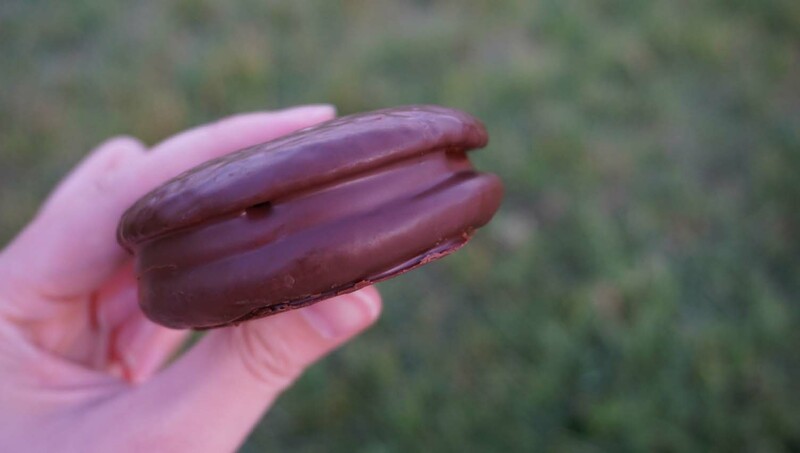 IT WAS CHOCO PIE... BUT MATCHA FLAVORED! Just look at this beauty... !! So, I found it at H-Mart near the snack aisle (sort of) but it wasn't inside the aisle. It was in the promo section in front of the snack aisle. 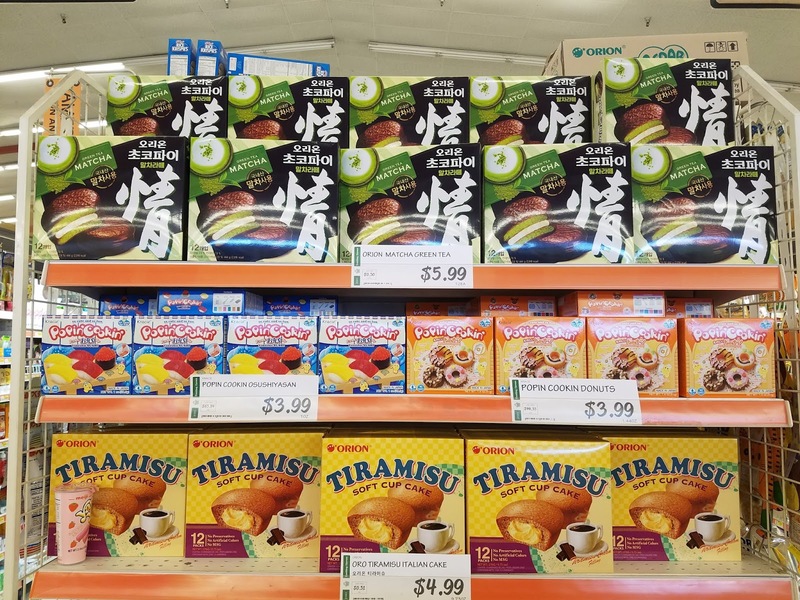 Each box is priced at $5.99 each and comes with a total of 12 choco pies to enjoy. 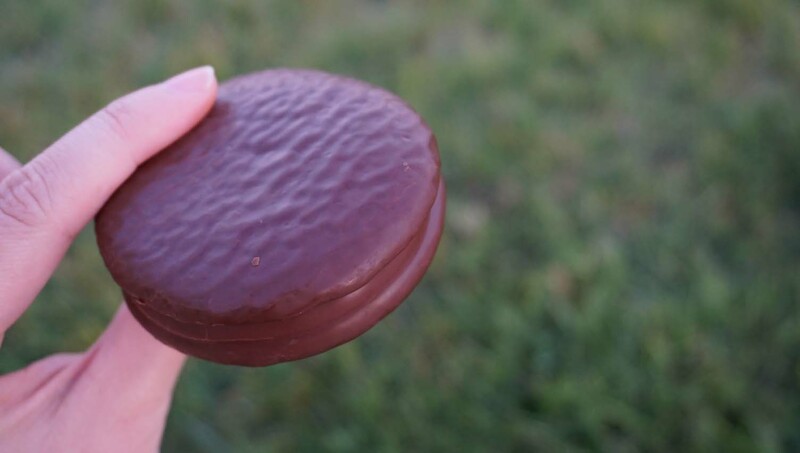 Looks like the typical choco pie. But inside is green with marshmallow cream! 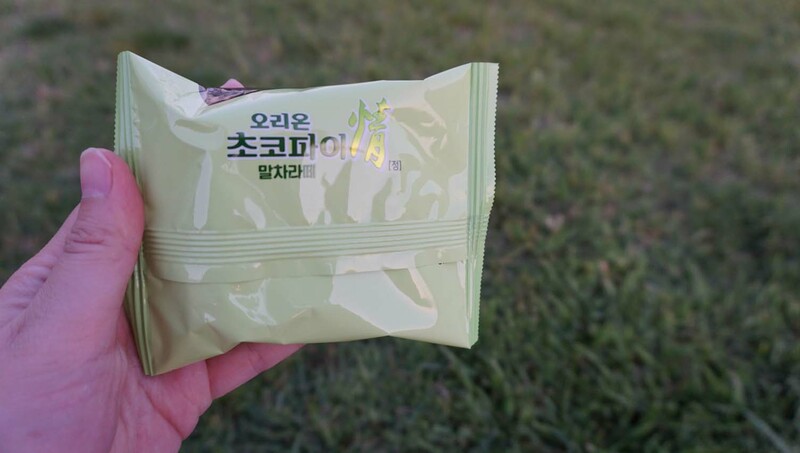 The flavor of these choco pies is not actually matcha specifically, but it's actually matcha latte (in Korean it indicates the flavor as 말차라떼). When Kevin and I first bit into it, we didn't need to say anything. Both of our faces expressed disappointment. 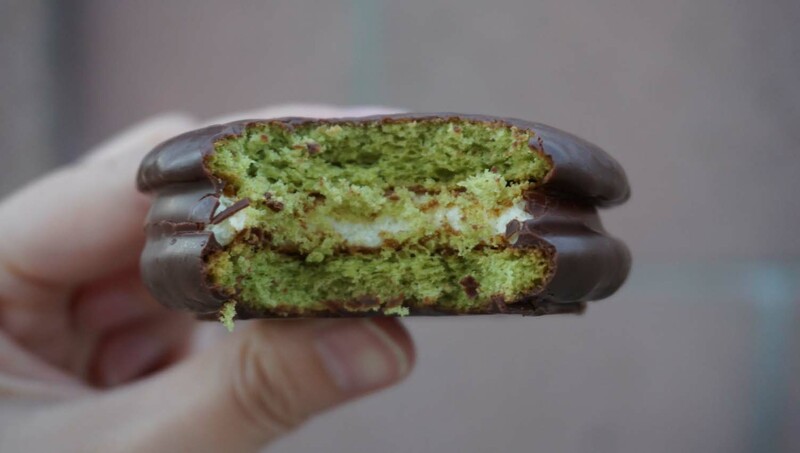 This matcha latte flavored choco pie is definitely more latte (milky) than matcha. What a bummer! I was really disappointed because I thought I could finally indulge in this snack without having to search for it online. 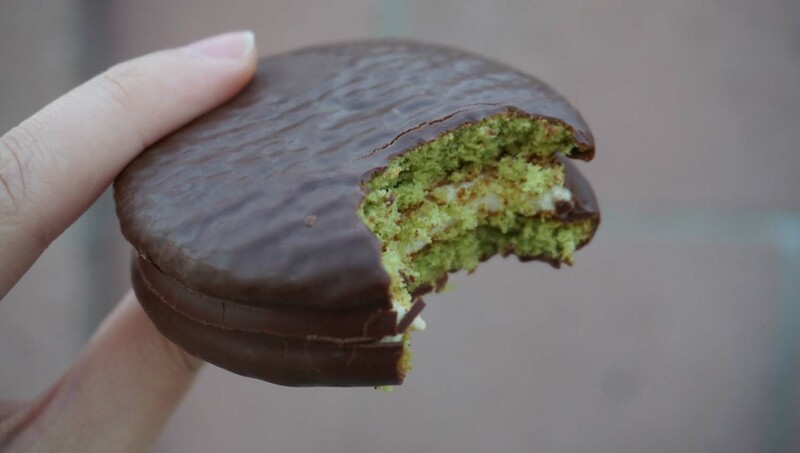 I've had the matcha choco pie before, and it was sooooooo delicious! But after looking at my previous photos of it, I discovered that the other matcha choco pie (which I am obsessed with) is actually the Japanese brand Lotte. No wonder it tasted so much better! And also the flavor for that was actually "matcha". So... maybe the Lotte brand is better? Because it's much stronger in matcha ?? Or maybe it's the fact that this Orion brand Choco Pie from H-Mart is matcha latte that it's weak. Perhaps, there may be also an Orion Choco Pie Matcha (just matcha) flavor that is actually strong too, available somewhere in the world. 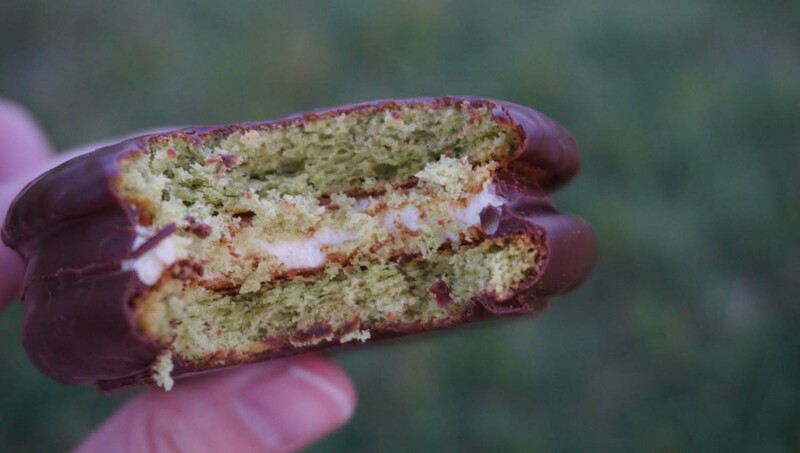 Check out my review on the Lotte Choco Pie - Zeitaku Matcha (gourmet matcha) Flavor here. Either way, I so so so wish this was stronger in matcha. T__T It would have tasted like heaven if it was just a bit stronger!! But for $5.99 for 12 pieces, it isn't so bad for something unique! 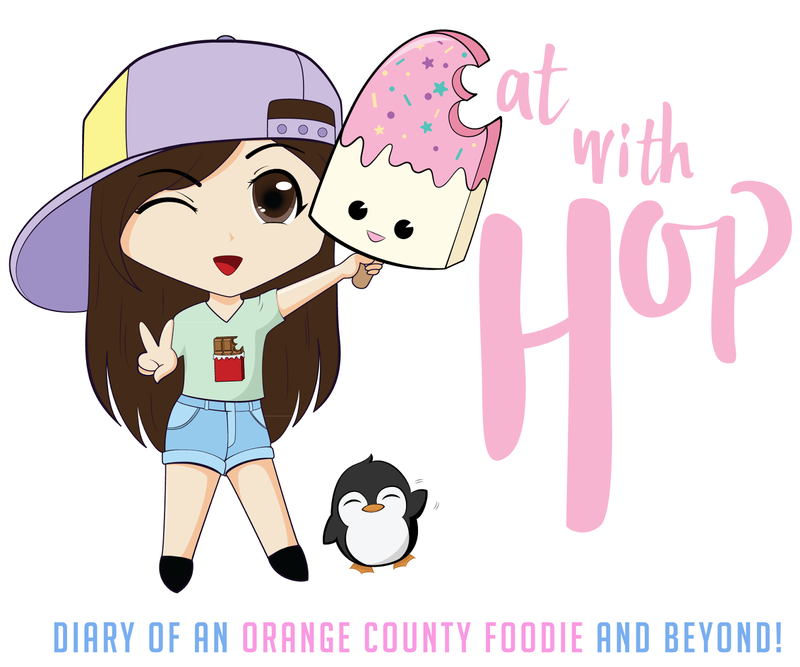 Maybe you will like it! 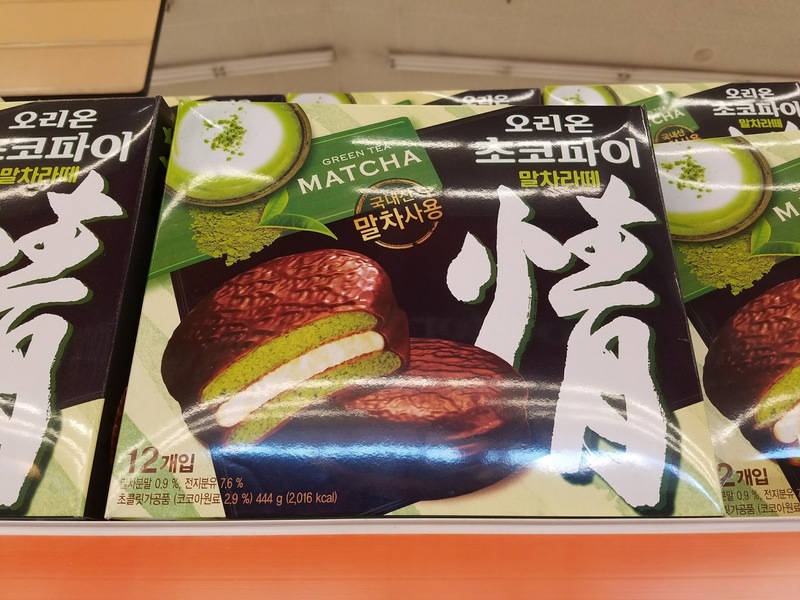 The Orion Matcha Latte Choco Pie was found at the Garden Grove H-Mart, which is a Korean supermarket.